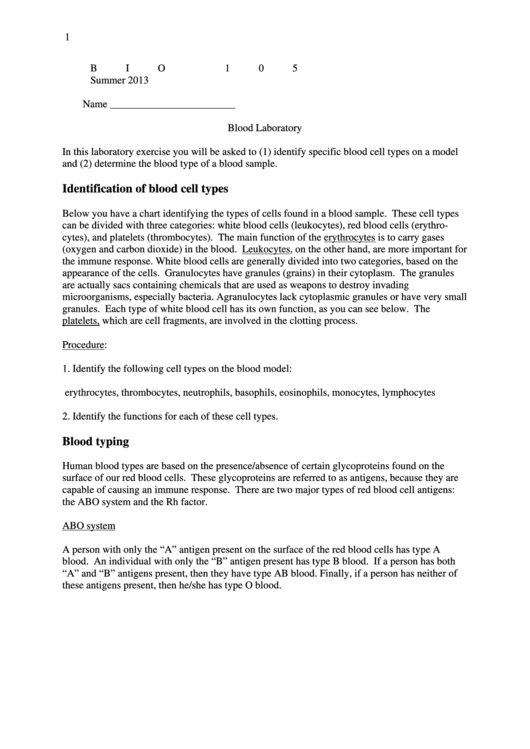 and (2) determine the blood type of a blood sample. platelets, which are cell fragments, are involved in the clotting process. 2. Identify the functions for each of these cell types. the ABO system and the Rh factor. these antigens present, then he/she has type O blood.